In a completely bizarre occurrence today during an exchange with @Marienro2 on Twitter that had the bm.org url typed out, I clicked the link. I got a DNS not found result. Flashback around 13 years ago, after an unfortunate series of events that transpired after handing the domain off to another individual, and trust me that losing the domain was nothing compared to the real life events that led to the losing of it, the domain expired and got picked up by a squatter. It sat there in that state for years, presumably until some time this summer and then undiscovered by me until today. I jumped on it. BetaMountain is home (literally in some ways). If feels good. To be up front, I'm not sure what direction the site will go from here, things (links, scripts, etc) are broken, the place is a mess, but the site is here back under the rightful name! I need to post more about this in the future but if you haven't heard yet, there's a Galaxy Ranger's podcast out there and you need to go check it out. Check out series6podcast.com for more information and give it a listen (make sure you check out Episode 9)! Please note the site link and update your bookmarks to http://www.betamountain.org/. I'm leaving this site in place for a short while and will redirect it automatically sometime in the near future. Hello. I feel really bad about not being able to dedicate as much time to getting betamountain.org 2.0 up, but life is very hectic right now (Now I know how Rabbi Bob always felt). I'm busily working on bm.org 2.0 and will have it up shortly. Former writer for the Galaxy Rangers, Mr. Cy Voris has done an outstanding job with Bulletproof Monk. 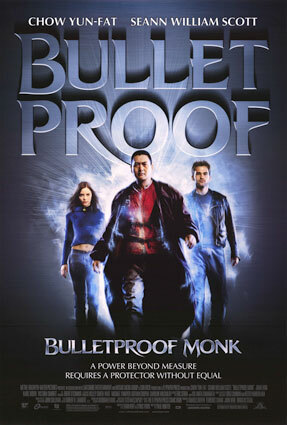 I read several reviews about Bulletproof Monk prior to seeing it and overall, it's not a critical success; however, it is one of the most entertaining movies I have seen in a long time. Matter of fact, it's now my favorite movie of all time. Makes me wanna become a buddhist... oh, wait a minute... I did become a buddhist... I still don't get the whole 10 hot dogs, 8 buns thing, but when I do, I'll have achieved Nirvana. Somehow the banner picture name was fitting. I am retiring from editing/webmastering www.betamountain.org as of today. I've enjoyed the last four years of having the site out there and even more just getting the random email from far corners of the globe saying "I can't believe there are other people out there who liked the show!" 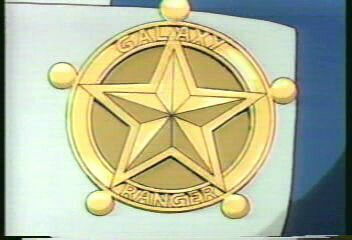 Knowing that there wasn't only myself, but an entire group tucked away on Ranger-L made it that much more worthwhile. I was surprised earlier this month when I finally browsed the access log and found that by Feb 13th the numbers were Avg daily hits: 1549 & Monthly total: 18599. Of course with my luck 80% of those were web spiders <EG>. I posted nearly 1 year worth of access stats here. The wife and I are moving back to Maine in a few weeks. The baby is on the way in May and I see time for projects that are already collecting dust getting smaller and smaller. Rather than let a good thing grow more stagnant, I'm handing it over. Xander Christ will be the new webmaster and sooner or later (probably later) the site itself will move to his own server. I'm sure the site will move forward in a much better (and faster) direction and will be in capable hands. After four years of having the site, I'm a little touched <G>. 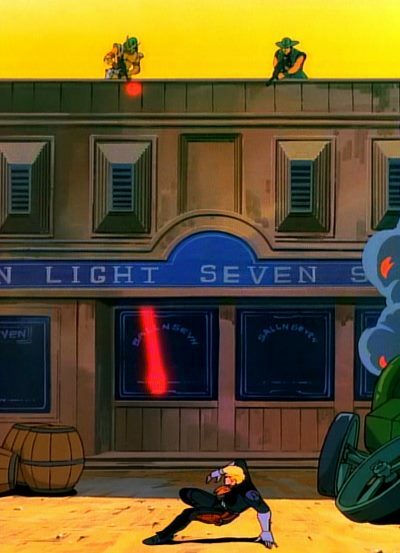 It came along way from "The Cryocrypt" on Geocities. My email address will be rabbibob @ betamountain.org after we move and I'll be lurking as always on Ranger-L in some capacity, off in the corner where I think I belong. For my final plug, check out Christopher Rowley's latest book titled Doom's Break the 3rd Book of Arna. Here is a link to it on Amazon. Good to see another chapter in the series out there. Out of touch with reality for awhile. It seems my account on Ranger-L decided to stop receiving posts, so where I would normally have the spill over from the list to give you links to new fanfic, this time it is not the case. While not GR related totally, I wanted to announce that the Wife & I are expecting a child next year :) She's only nearly a couple months along, but we're just plain giddy (except when she's nauseous, then the giddiness is at a low). Finished reading a slew of Christopher Rowley books: War For Eternity, The Black Ship, Starhammer and now I'm reading Golden Sunlands. Having read most of the fantasy novels already, the science fiction books by Rowley are quite change of pace. Andy Thomas emailed me with a link to his webpage where he has the intro videos for numerous 80's cartoons (including Galaxy Rangers, of course) in the WMV format for download. Check out 80's Multimedia at SFXB for more. Thanks Andy! The Ax by Dan F.